Sarahah is an anonymous messaging app that that has become extremely popular in the few years after its release. Teenagers were quick to jump at the opportunity to give anonymous opinions about others as soon as the service was made available on mobile. However, Sarahah’s widespread popularity in no way means that the app didn’t harm young social media users. Upon registering on Sarahah, each user has the opportunity to share the link to the profile online. Others can then post their honest opinions on the user’s profile completely anonymously. While this appears to be an innocent app and first sight, it has two significant issues: honesty, which is what the word ‘Sarahah’ means in Arabic, and anonymity. Users are invited to post honest opinions about their friends, people they know and even complete strangers. However, wherever there’s anonymity involved, there is also trouble. Being anonymous allows users to send all sorts of messages without the receiver being able to discover who sent the message. It took very little time for honest opinions to turn to insults and even threats. While a few users reported not having any negative experiences with Sarahah, the vast majority either thinking about or even attempting suicide. The concept of Sarahah is definitely not new. Although this service was originally created to allow Saudi Arabian employees to share their honest opinions about their bosses, anonymity is what makes Sarahah just like other anonymous messaging services of the past. Messaging services such as Formspring and Ask.fm were responsible for numerous teenage deaths and heartbroken relatives, so why hasn’t society learned its lesson yet? Online harassment will continue being a serious issue while there are apps and services that provide bullies with the opportunity to send threats without the fear of being caught. 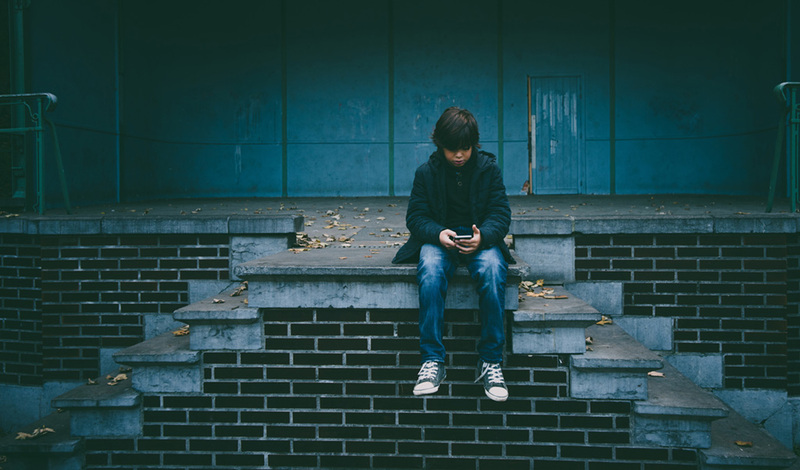 Bullying has always been present at schools, but technology and the option to remain totally anonymous made it so much worse. Cyberbullying completely diminishes youths’ confidence and makes the victims feel worthless and unwanted. Thankfully, though, victims of cyberbullying aren’t forced to suffer in silence. Sarahah has received a lot of media attention this year due to the severe negative impacts it has had on both teens and their families. Supporters’ petitions have caused this extremely controversial app to be removed both from Google Play and the App Store. Unfortunately, the deletion of the app did not end the issues caused by anonymous messaging services. We haven’t yet had time to recover from the damage done by Sarahah and it seems that there is another app just like it that is rapidly gaining popularity. Sayat.me allows users to receive anonymous feedback from their friends. However, we all know that it’s not just ‘feedback’ that is being sent through the app. Users are able to send whatever they want thanks to the anonymity feature. Although Sayat.me claims that this ‘feedback’ you receive will allow you to “become a better you”, that is definitely not what the app is being used for. While the app is currently less popular than Sarahah used to be, it is unclear what will happen in the near future. With anonymity involved, it’s only a matter of time before Sayat.me begins destroying lives. Parents, does the existence of such apps frighten you? It definitely should, especially now that you know what horrendous consequences using an anonymous messaging app can result in. The problem is that technology is everywhere. We can try minimize bullying at schools by getting teachers involved, but bullies will always be able to find loopholes, especially with the existence of services that allow them to remain anonymous. So, what should you do? Isolating your child from all evil in the world is not an option, unless of course you want to lock up your young one in a room with no internet access. Instead of trying to prevent your child from socializing or using the internet, it is much better to educate them about the risks. Teach your child how to recognize bullying in its early stages and to speak up. Your kid should know that you’re their friend, online and off and that they shouldn’t be afraid to talk to you if something comes up. For those extremely paranoiac, there is the option of monitoring your kid’s activity online. Some may consider it invasive and immoral, while others believe that the benefits greatly outweigh the disadvantages. Should you decide that using digital spyware is the best option for you, there are some powerful tools available to you. Keep in mind that it is always best to be as honest as you can with your child. Let them know that you’re doing it to protect them and also be open to hearing out your child as well. The best option is to come to a mutual agreement so that there are no secrets that either you or your child will have to hide. This entry was posted in Parents, Relationships on July 27, 2018 (Last modified: 2018-07-27T12:30:12+00:00 by Mark A..